Having seen both good and bad I thought this would make an interesting blog. After having a chat with some of my industry peers I realized that some management teams don’t staff sufficiently and their SharePoint team and business users are suffering for it. Specifically, management staffs SharePoint teams like they would IT infratrsucture and not a business facing service. When you staff your team, know this – your providing a complex web hosting/collaboration service. You require infrastructure, development, user interface design, end user training and administration skills. Also, with SharePoint being a global service in many organizations that have offices in the America, EMEA and ASIAPAC, SharePoint’s reach is broad and its user base very large with diverse requirements and expectations. This places a huge support burden (cost, risks, workload etc.) on IT departments as the support requirements are 7/24. The downside of not staffing correctly is higher than usual staff turn over, not meeting expected service levels, degraded environment and service and not containing risks and associated. Turn over – people come and go monthly/yearly. Perhaps your organization is so messed up new people just don’t want to invest time and or have better options. Unplanned costs – consulting fees to troubleshoot and fix ailing environment. Quality issues with code / changes – cause performance and stability issues. Lack of procedural rigor and enforcement by management. No documentation – come support time when a reference is required these no central document/code repository to reply on. Failing Audits – simply put, you have audit requirements where SharePoint is graded and fails due to various reasons such as failure to comply with data and security policy. Capacity issues – whether it be CPU spikes or storage issues, no capacity plan and monitoring of any merit. Not all changes are simple storage increases or server augmentations. It could require major capital purchases and lead times. Nothing gets done – same recurring problem year after are a sign that the manage team are not effective in their roles. End users that lack the basic SharePoint skills and no plan to address it. Executive sponsor – Owns budget and ultimately service quality and compliance with company policy. This is an active role, supporting the team during budgeting, downsize, escalations and being able to say NO to the business when resources are not available or the request is not in the best interest or suited to SharePoint. Product Management – Owns product roadmap, new feature releases, risk planning, develops budget and other operating models. Works with other product managers to align roadmap such as Operating Systems, Database services and other related infrastructure. 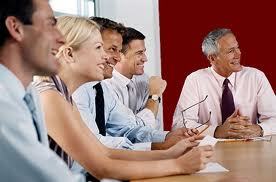 Also work with business unit and SharePoint User Group to collect establish two way communications. Service Manager – manages the service to control plans for availability, performance and compliance. Deals with staffing, outages, escalations, reporting and problem management. Business Analyst – works with business unit and user group community to facilitate and capture requirements. This role requires strong communications, knowledge of business, technology, writing and facilitation. Engineer / Architect – work with business analyst and technical team on requirements to design enhancements and supports broader team from a technical perspective. Developers – work on code, manage source code and documentation. Know and enforce development standards, know the customizations inside and out. The number of developers depends on size of environment and number of customization. there should be at least one that knows all the customizations to some degree. Quality Assurance – develops test plans, test cases and reports for testing new features and performance ongoing. Maintain quality assurance environment such as data set, toolsets and related documentation. Administration onshore (Day) – day to day administration which includes Help Desk, service sustainment, provisioning, service packs and other changes. Administration off shore (Night) – day to day administration which includes Help Desk, service sustainment, provisioning, service packs and other changes. The aforementioned model assumes you have teams allocated to shared services such as help desk, monitoring and reporting, coding and source code management, networking, servers, compliance/risk management, storage and quality assurance. Provide a onsite coordinator (minimum part-time) to assist with the coordination of work. Rotate team onsite to emerge them in the process and culture for 6 months to a year, when they go home they can bring their knowledge back and share it to help the broader office understand process, policy, culture and expectations to name a few. Clearly document all process and policy involved in their responsibilities and clearly highlight demarcation points. It’s important to remember that most organizations rate SharePoint as a Administration level application or tier 3 or 4 – whatever is lowest in your organization. As a result its not allocated the same funding and attention a mission critical tier 1 or 2 application but that doesn’t stop business units from building mission critical applications and there in-lies the political rub – the disconnect that makes life difficult.